Dunure is located five miles north west of Maybole in South Ayrshire. This former fishing village is a fairly recent addition to the coastline, dating from the early 19th century. The harbour was created in 1811 at a cost of £50,000, and along with the creation of building leases in 1819, led to the development of the village as a fishing station. It was originally built to export locally mined coal, but when this failed, so did the extensive support plans for further development of the harbour. The fishing industry lasted until the 1960s, when boats became too large to use the harbour regularly. 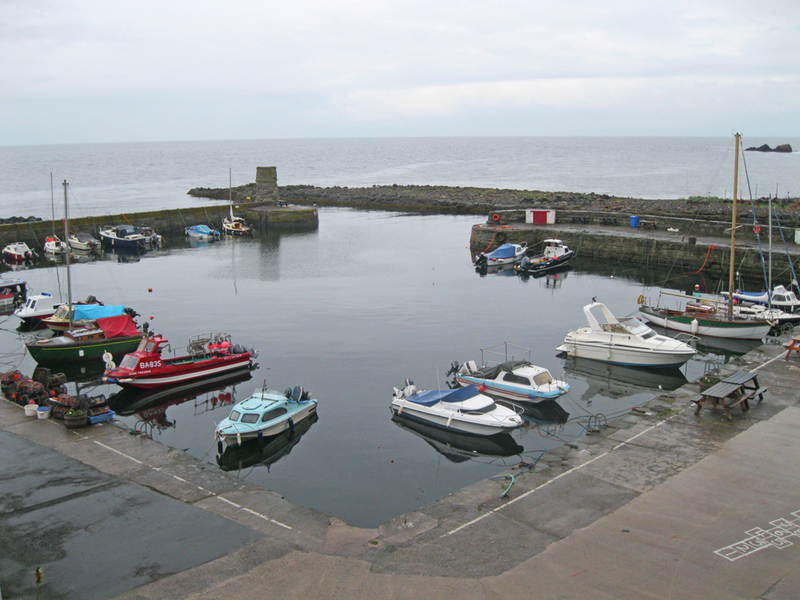 Prior to this a fleet of 20 to 30 boats was based at Dunure. The harbour basin currently houses 41 pleasure boats, although some of these still fish for crab and lobster. In the past Dunure and Culzean Bay near Maybole were landing places for contraband coming in from Ireland, largely Irish whiskey, which was known locally as 'Arran Water'. The harbour entrance is aligned NW-SE, and any wave motion from between north and west tends to limit harbour usage. The present owner, the Baron of Dunure, leases the harbour to a local Harbour Association.